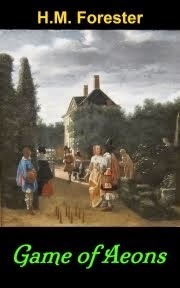 • If you like Doris Lessing or Idries Shah, you might like Escape From the Shadowlands • Will Marie and Dillon awaken and remember their mission? Can the mystic Network help them? • If you like George Orwell's Nineteen Eighty-Four, or the NSA's Prism surveillance programme grabs you, you might like The Dissidents • Ever fearful of being discovered or "outed" for dissident tendencies, these people work secretly to preserve simple human pleasures and traditions in a dystopian world. • If you like The Matrix, you might like Game of Aeons • Can gaming veteran Ellie save Robin from his addiction and deep immersion in virtual reality • When do games become reality? Or is "reality" a game? See Which are the best books to read first? One common thread running through all our novels is the help given in times of need by #SecretFriends. 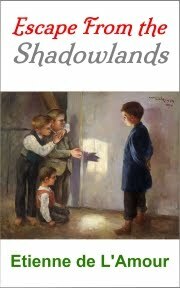 A list of all the Shadowlands books. 2. Life on the Flipside (or In Two Minds). Prequel. 4. In Search of Destiny. 6. Time and Time Again. 8. The Host and the Guests. There are a number of reviews of books by Etienne de L'Amour and H.M. Forester at our web site, taken from Amazon US and UK. You can now download ALL of our ebooks from our web site, and read them for free. Though marked as "review copies", there are actually no strings attached.